The official net worth of Bill Wyman is $80 million. During his active years, he worked as a composer, musician, film and record producer. Bill earned most of his fortune as the bassist for The Rolling Stones, and his personal music group the Rhythm Kings. 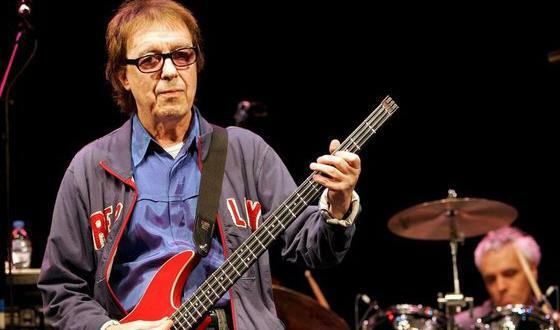 Bill Wyman was born on October 24th 1936 Lewisham, London UK. Wyman began taking piano lessons at the age of 10 and immediately felt endeared to the musical instrument and later decided that it would be one of the instruments he would use in performances. During his early career, he went by the stage name "Lee’ Wyman" but later on changed it to Bill in commemoration to a close friend with whom he had served at the Air Force with between 1955 and 1957. His solo albums include "Monkey Grip", "Stuff", "Bill Wyman" and "Stone Alone". He also has a collaborative album done with Mickey Gee, Charlie Watts and others. The below financial data is gathered and compiled by TheRichest analysts team to give you a better understanding of Bill Wyman Net Worth by breaking down the most relevant financial events such as yearly salaries, contracts, earn outs, endorsements, stock ownership and much more.